Spiral Chain instructions. Very easy, uses only 2 colors of beads. Can make a wonderful bracelet, necklace or chain. 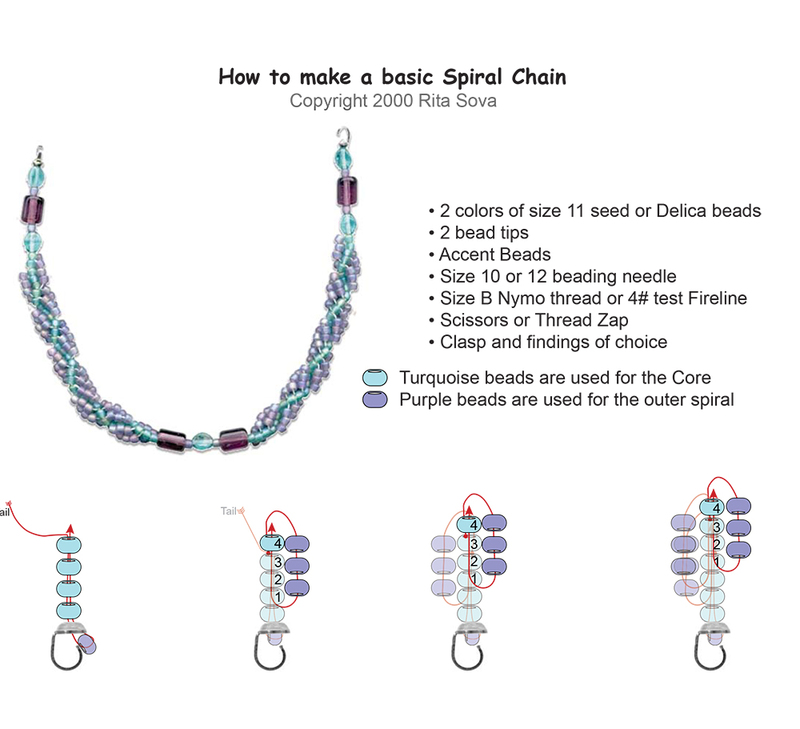 Step by Step instructions to create the basic Spiral chain.